It is said that the sunrise is always more beautiful than the sunset, but as I watched the crimson sun slip gently down the horizon of River Nile one evening, I wasn’t quite convinced of the saying. The breathtaking beauty of this sunset was rendered even more spectacular, however, as I walked towards the Great Temple of Abu Simbel. I had imagined my tryst with the marvel as a love-struck teen’s first date and as we headed towards it after our flight from Aswan, where we had left The Oberoi Zahra, Nile Cruiser behind, I prepared myself to get consumed by its stunning facade. I beheld a magnificent sight – the four pharaohs of the Great Temple towered above me, watching over the drifting traffic on Lake Nasser. 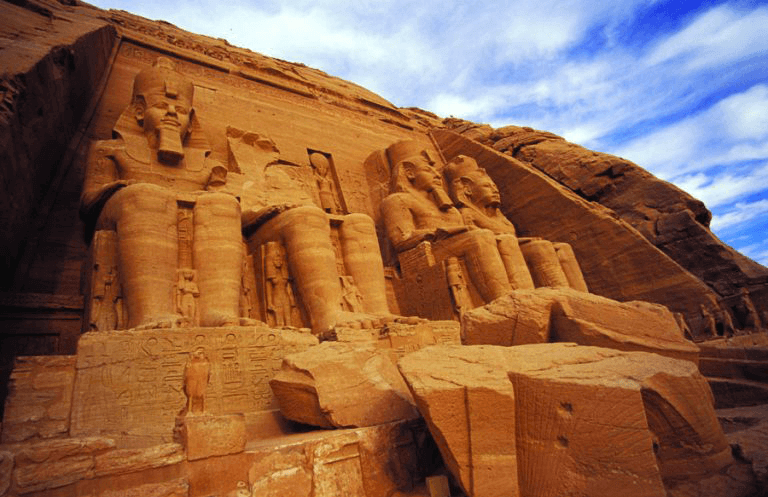 Abu Simbel, the tiny hamlet about 300 km southwest of Aswan, is famous the world over for its ancient rock temples. In primeval Egypt, nothing could have been more grandiose than these four colossal statues carved out of an entire mountain. Even today, few monuments in the world can match the passionate tale of their modern-day discovery. And they were, therefore, the perfect conclusion to the adventure I had started eight days ago on the luxurious Nile cruiser. A similar four or six-night itinerary that takes you deep into Egypt’s rich history is also available on The Oberoi Philae, Nile Cruiser, should that suit you better – offering an experience just as exquisite and unforgettable as my own aboard The Oberoi Zahra. Inside the temple complex, the seasoned Egyptologist specially appointed by The Oberoi Zahra to accompany us, brought to life the reign of Ramses II, one of the greatest pharaohs of Egypt! Ramses II had built this temple to celebrate his victory in the battle of Kadesh in 1274 BC. The Egyptologist eloquently described how the king, who enjoyed one of the longest reigns (1279 BC to 1213 BC), changed the face of the land with his enthusiasm for temple construction – pursued on a scale not seen since the pyramids were erected 1,500 years earlier. As the tour ended and it was time to head back to the cruiser, I couldn’t help but linger on in the world of stately pharaohs and their mesmerising queens. That’s what The Oberoi Zahra does to you – it transports you to such a luxurious dreamland that it’s easy to stay ensconced in the realm of royalty. The Nile provides the perfect backdrop to the cruise, the most premium in the world – offering guests spectacular views of temples and tombs at every bend. The leisurely journey only complements the unhurried pace of the land. The very first view from my cabin had me spellbound, watching the beautiful yet stark countryside gradually unfold itself as we sailed past. The cruise from Luxor to Aswan gave me plenty of opportunities to indulge my whims, as it took me to some of the most awe-inspiring temples, tombs and monuments that Egypt’s pharaohs had built several millennia ago. The sheer scale of the structures can sometimes overwhelm you with a sense of history – remarkably well-preserved, a little glimpse into the Egypt of 5,000 years ago is not as hard to come by as you might imagine. The first place our cruise had introduced us to, was Luxor. 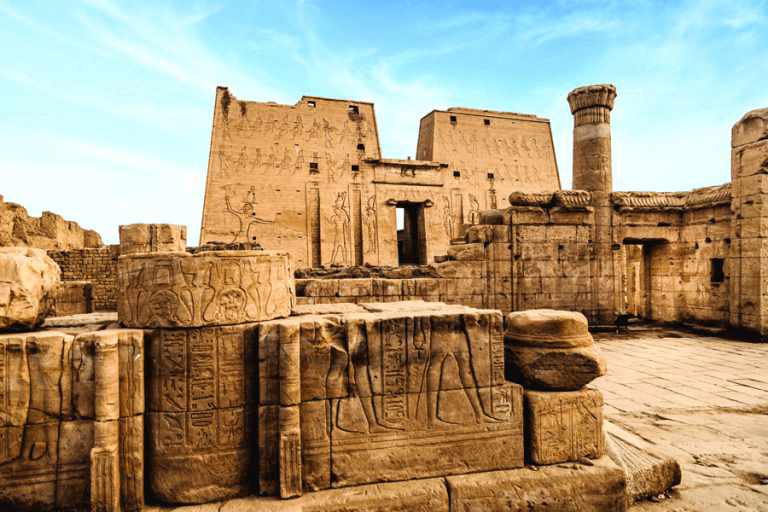 Once the ancient city of Thebes, Luxor is home to so much architectural heritage and so many ancient narratives that you should pay it a visit with a fair amount of time on your hands. The capital of the Middle and New kingdoms, it is one of the more frequented places by tourists and has enough to offer to occupy an entire week’s worth of an itinerary. Luxor temple, built by Ramses II and Amenophis III is replete with narratives of intrigue, reportedly once the home of the god Amun’s consort Mut and his son, Khonsu even as Amun himself resided at Karnak. The temple of Karnak, on its part, is an astoundingly vast complex spread out over nearly 200 acres, and is easy to get lost in, should you venture into it without a guide. Home to the legendary 50,000-sq ft Hypostyle hall with 134 columns, all 15 to 23 m high, a set of sphinxes, queen Hatshepsut’s remarkably well-preserved obelisk and more, it is decidedly worth an entire afternoon, although you could also visit at night and enjoy the sound-and-light show. Our next stop in Luxor was the Valley of the Kings, where meticulously designed and intricately decorated tombs of the pharaohs rest in sloping tunnels that have been cut into the mountains. We had a chance to enter three tombs here, paying our respects to Ramses VI, Tutankhamun and Merenptah. The tomb of Ramses VI has some of the most spectacular art, with vibrantly painted walls and a stunning ceiling, the tomb of Tutankhamun is the smallest in comparison to the rest – although it is rendered special by the fact that the pharaoh’s remains still lie preserved within it, the way they were laid to rest 2,500 years ago – and the tomb of Merenptah is nearly 200 feet below the ground. From tombs to temples again, I found myself a few days later at the temples of Kom Ombo and Edfu. Dedicated to the falcon god Horus, Edfu was built in the Ptolemaic period, between 237 and 57 BC. As you walk along the temple, admiring the walls resplendent with ancient iconography that once strung together complete and coherent sentences to those who knew the language of hieroglyphics, you feel transported in time. Both temples had that effect on me, cutting through my complacency as a wide-eyed tourist and making me imagine the era they had been witness to. Each of the pillars, columns and sculptures in both temples – like all the temples in Egypt, really – is invested with meanings, philosophies and ancient wisdom no longer decipherable by modern man. And a significant part of their mystique and magic owes to this very fact. Once back at The Oberoi Zahra, I was greeted by exquisitely folded towels, shaped into ever more intriguing animal forms every time I returned to them. The services on the luxury cruiser live up to the standard of excellence The Oberoi Group is renowned for the world over, and I really couldn’t have picked a better means to take me along the cruise of my dreams. Once the eight-day Nile sojourn was complete, the journey to Hurghada and The Oberoi, Sahl Hasheesh, Red Sea, took me four hours by a road that wound through the stunning Sinai desert. 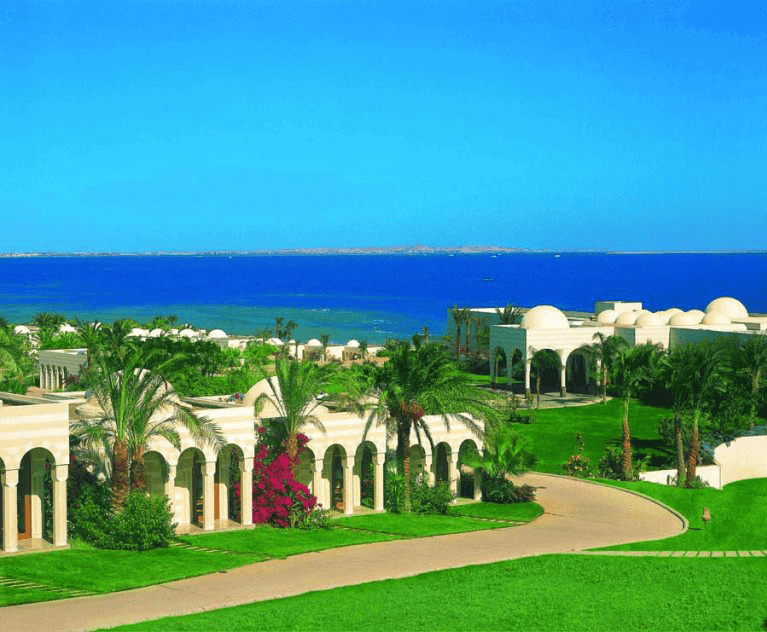 Once you arrive at The Oberoi, Sahl Hasheesh, you’ll find that it is one of the more international resort experiences that Egypt has to offer. It is also warm, friendly and effortlessly luxurious – the best way to conclude a journey through a landscape steeped in legends and ancient wisdom.